Keeping in line with their habit of marking the advance of its Aventus workflow solution at major industry events, iStreamPlanets announced this week at CES that cross-platform content protection with Microsoft PlayReady was now available for live and live linear streaming in the software-as-a-service product. 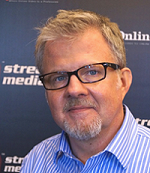 The company first unveiled Aventus at Streaming Media West 2012, then announced beta availability of at NAB 2013, and followed with the news that the cloud-based service was widely available at IBC in September. The new support for PlayReady is available as a product service update to existing Aventus customers. That might seem like an incremental change, but it's one that iStreamPlanet vice president of product marketing and services says was high on existing and potential customers' wishlists. "All content partners want the ability to offer thier conenet to IP-connected devices. We implemented AES when we launched, but customers wanted PlayReady," says Cole. "After content protection, it's business rules. They want to make sure whatever business logic is in place can be enforced throughout the delivery to all the devices." Aventus will roll out PlayReady for Smooth Streaming first, followed by HLS. True to Aventus' design, it will be available for both live events and live linear delivery. The PlayReady SDKs for iOS and Android also support DASH as well as Smooth Streaming, which will help Aventus achieve full DASH support later this year, says iStreamPlanet principal video specialist Alex Zambelli, who created all the encoding profiles available to Aventus users (customers can also input their own profiles and save them as presets). Currently, Aventus supports output to HLS, HDS, and Smooth Streaming, and later this year, RTMP. "There are a lot of workflows that still use Akamai HD, where RTMP is sent in and Akamai does transmuxing, so we'll provide support for that," Zambelli says. Current Aventus partners include NBC and Microsoft, with whom iStreamPlanet will work to deliver the Sochi Olympics. Aventus will be running in Microsoft Azure using Azure Media Services. Microsoft will provide origin services, dynamically remuxing content from Smooth to HLS and other formats, says Zambelli. Aventus will handle all the live encoding. Other partners include online video platforms like thePlatform and Ooyala, customers that are known for VOD but can now say they support live, says Cole. Aventus is available as both SaaS and via APIs for customers who want to integrate it with their own interfaces. Cole says the company expected about 80% of customers to want the APIs, but instead it's more like 50%. Part of the appeal of the SaaS is the simplicity of the interface, which lets users spin up a channel in minutes—seconds, even, if the setup doesn't include explaining each step to a journalist in a demo. Once a channel is live, iStreamPlanet's telemetry shows not just whether or not it's functioning propertly but also where any problems might be occuring—ingest, video transcode, audio transcode, or elsewhere. Another appeal is that iStreamPlanet has built its own live encoder that can work on commodity x86 hardware, meaning that no special hardware is required for customers to use it. 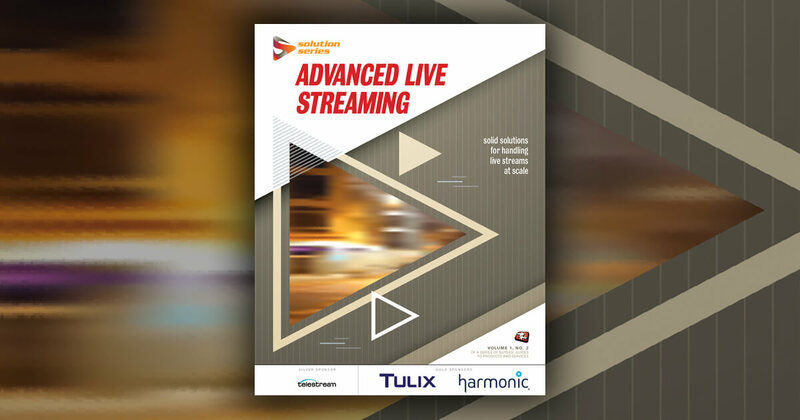 Before building its encoder, iStreamPlanet itself found that after live events were over, they'd have purchased dedicated hardware encoders that sat idle until they were needed. By using x86 hardware, customers can repurpose those units when they're not in use. While much of the hype at CES has been around 4K, that's not something Zambelli sees as a big part of Aventus' future. "We use the MainConcept codec, and they've been announcing HEVC support, and we'll eventually implement it," he says. "As for 4K, there's just not a whole lot of demand. 1080p is still next generation for a lot of customers; most are still asking for 720p. We're not trying to compete on features, but on usability, accessibility, and simplicity." Cole says the company has been surprised that not all of the companies they've been speaking to at CES are broadcast and entertainment. "At IBC, it was primarily media and entertainment companies, because that's what that show is all about," she saus. "In the last six weeks, though, I've been impressed with the number of enterprise customers who are showing interest. Live is really important for a lot of verticals, for things like town hall meetings and big events like CES." And even though Aventus represents the company's move from services to software, iStreamPlanet still offers the same full range of event services it always has. "As we've gone from purely services to services and software, it's important to note that we haven't abandoned those services we've always provided," says Zambelli. "We've got satellite dishes and partners around the world. We have the technology to acquire signals, and the broadcast operationss people who are 24/7 and know how to manage events."